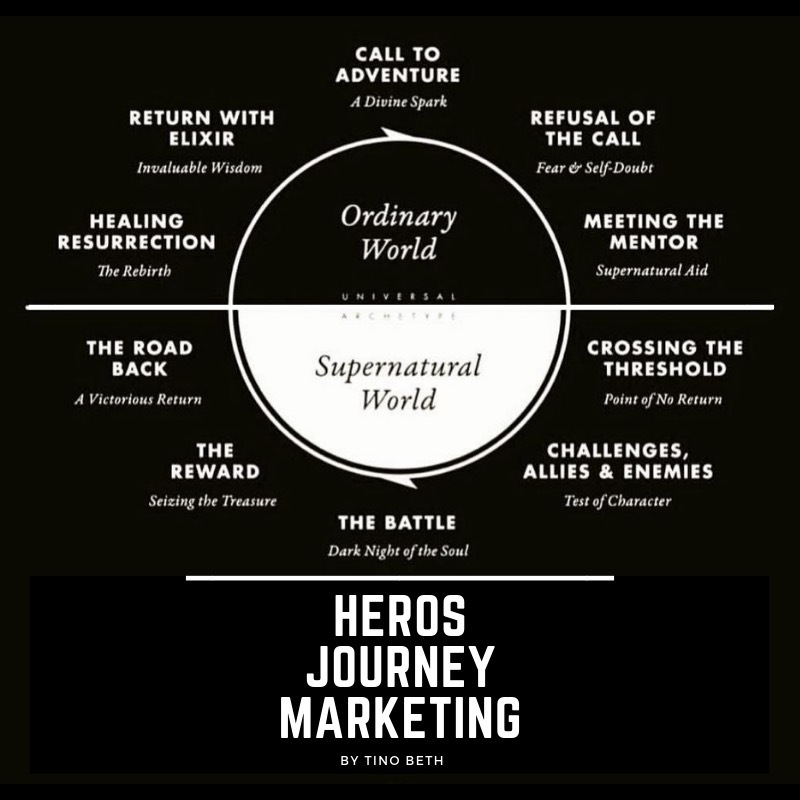 The Hero’s Journey is the general storytelling narrative, a pattern coined by the American scholar Joseph Campbell which commonly appears in stories. The Heros Journey is embedded in religious ritual, Hollywood blockbusters and is an innate part of your natural mythological and psychological development. It pertains to you as an individual and humanity as a collective, as it describes a common structure for the growth and development of the archetypal hero within you and in society. The Hero is a person who hears a calling to do something, goes out beyond the confines of the known world and goes on to achieve great deeds through the eyes of family, community, or culture. The Hero’s Journey model exists within your life through many different fractalizations, from your arrival through the birth canal until your death, to the discovery of one’s highest life purpose and the journey that takes you on. You can be on multiple Heros Journey’s at once, and you can pin point the exact time and place when one begins and another finishes. Your Heros Journey is what connects you to the Quantum Feedback Feild of Life. From the largest most significant journey represented in the drawing of your first breath, until the return home into the quiet release of death. The heros journey is the origin of life, and it is the journey through which every unit of consciousness must take to grow and evolve in its own way. The dawning of every new day presents new possibilities for adventure and opportunity. Modern society and culture has done its part to box you in and to erode your ability in claiming your gifts and purpose in a day, month, year or lifetime. If you are still reading this far you will undoubtedly have experienced moments in your life of an unknown magnetic pulling or calling to adventure taking place. To travel, to create, to explore, to uncover the Golden Buddha hidden within you. Now with the onset of technology, it seems that fewer and fewer people are embarking upon their true and authentic hero’s journey’s. The calling to this great adventure is being numbed by all the digital stimuli 👍❤️ which lead to loneliness and wanting. 1. THE ORDINARY WORLD. The individual is uneasy, uncomfortable and/or unaware. is introduced through curiosity to an idea or concept that he or she can identify with for leaving the safety of the Home situation. Some kind of polarity in the individual’s life is pulling in different directions and causing stress. 2. THE CALL TO ADVENTURE. Something shakes up the situation, either from external pressures or from something rising up from deep within, so the individual must face the beginnings of change. 3. REFUSAL OF THE CALL. The individual feels the fear of the unknown and tries to turn away from the adventure, however briefly. Alternately, another character may express the uncertainty and resistance to the threats of change ahead. 4. MEETING WITH THE MENTOR. The individual comes across a seasoned traveler of the worlds who gives him or her training, equipment, or advice that will help on the journey. Or the individual reaches within to a source of courage and wisdom. 5. CROSSING THE THRESHOLD. The individual commits to leaving the Ordinary World, passes the point of no return, and enters a new region or condition with unfamiliar rules and values. 6. TESTS, ALLIES AND ENEMIES. The individual is tested and sorts out allegiances in the Special World. 7. APPROACH. The individual and newfound allies prepare for the major challenge in the Special world. 8. THE ORDEAL. Near the middle of the story, the individual enters a central space in the Special World and confronts death or faces his or her greatest fear. Out of the moment of death comes a new life. 9. THE REWARD. From the individual, the hero is born, taking possession of the treasure won by facing death. There may be a celebration, but there is also a danger of losing the treasure which has been gained. Need to figure out how to get your gifts out into the world? 10. THE ROAD BACK. About three-fourths of the way through the story, the newly resolved hero is driven to complete the adventure, leaving the Special World to be sure the treasure is brought home. Often as difficult as the road of trials, signaling the urgency to protect the treasure and danger of completing the mission. 11. THE RESURRECTION. At the climax, the hero is severely tested once more on the threshold of returning to the known world. He or she is purified by a last sacrifice, another moment of death and rebirth, but on a higher and more complete level. By the hero’s final death and rebirth, the polarities that were in conflict at the beginning are finally resolved. 12. RETURN WITH THE ELIXIR OF THE GODDESS OF LIFE. The hero returns home for a duration and/or commonly continues on the journey to bestow the treasure gained, that has the power to transform the world as the hero has been transformed. 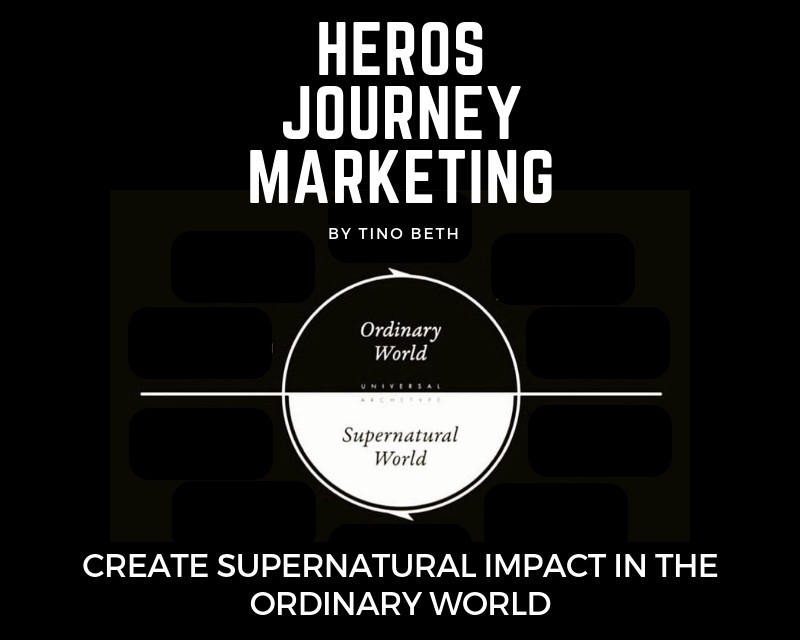 With so many successful movies using this storytelling modality, its no wonder that a heros journey movement is appearing from people who recognize the similarity of their own journey’s within the typical hero’s journey.